Welcome to At Trail's End in the Smoky Mountains! 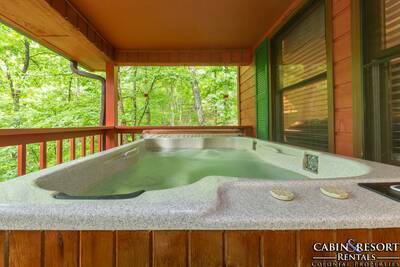 This 2 bedroom, 2.5 bath cabin rental is a remarkable place to enjoy an unforgettable vacation in the Smokies! As soon as you enter this beautiful log cabin, you are surrounded by floor to ceiling windows that frame the mountain view and soothing natural wood accents that will definitely make you feel right at home. The gorgeous living room features deck access, flat screen TV, fireplace, comfy furnishings and so much more! Adjoining the living area you will find a wonderful fully equipped kitchen and dining area that seats up to 4 people comfortably. The breathtaking master suite is truly a special place to kick back and relax while you’re on vacation. Here you’re treated to a log king bed, oversized bedside jetted tub, TV and window seating area. The second bedroom offers you and your guests a log queen bed, flat screen TV and access to the full bath located just down the hall. Take a stroll up to the second floor of At Trail’s End and you’ll enter the loft gaming area. Here you’ll find a pool table, wet bar with mini-fridge, half bath, flat screen TV and 2 built-in children’s sleeping with twin beds. Don’t forget to pack along your laptop or tablet while vacationing At Trail’s End so that you can take advantage of the complimentary high speed internet access. 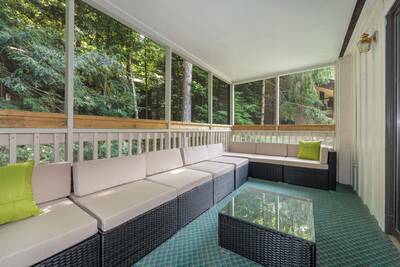 Step out onto the breathtaking wrap around covered deck and you’ll find relaxing rocking chairs and a wonderful bubbling outdoor hot tub. 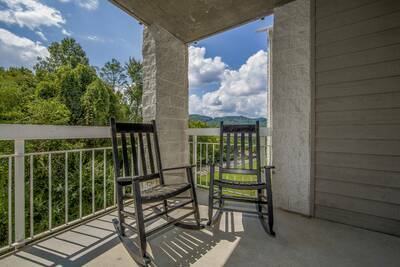 When you’re ready for a great escape to the Smoky Mountains, look no further than At Trail’s End! Reserve the perfect vacation today! A: This is in the Birds Creek area of Pigeon Forge, approximately 20-25 minutes to Gatlinburg depending on traffic. A: Hi Candra! At Trail's End has standard sofas, no sleepers sofas. “ It was a great experience. 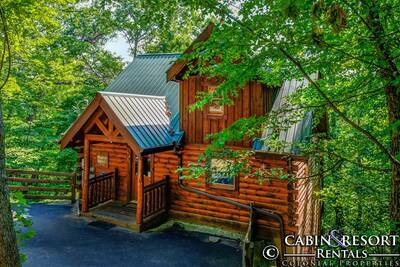 “ The cabin was in a great location just on the outskirts of Gatlinburg. It was quiet and equipped with the essentials. We really enjoyed having the amenities the cabin was provided with such as the hot tub, pool table, and washer/dryer! The welcome book with information on things to do in Gatlinburg, restaurants, and trails was a wonderful feature of staying as well. We didn’t have to look far for what we were doing next. We will definitely consider staying here again for future trips to the area. 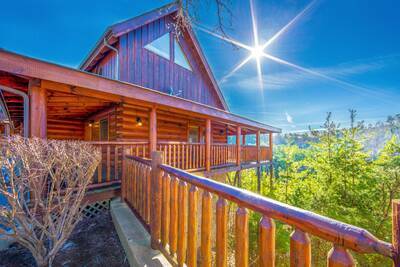 “ The Cabin was fantastic! Very clean and roomy. Our family really enjoyed playing pool in the game room! 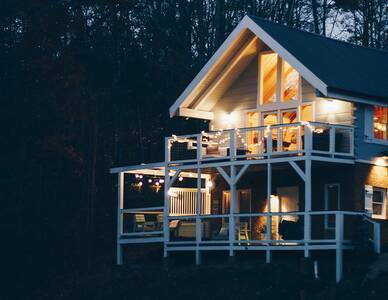 We will definitely stay at this cabin again in the future!